I chose this poster because in my town the D.A.R.E organization was very popular. Dare posters were always hung up in my school and they had a specific logo to go along with their campaign. They had a phrase that said ” just say no” as well as a lion which represented the D.A.R.E mascot. I chose this poster because I thought it was a good simple poster, which got it’s message across fast and it was able to incorporate their logo and emphasize it’s importance. When someone looks at this poster, even if they have never heard of D.A.R.E before, they understand what the purpose of the poster is with a quick glance. The site I found is wix.com. This site is one of the popular sites out their. The main reason this site is so popular is because it is free to use. You click the start now button and it walks it through the process of setting everything up step by step. The are also wix pro’s that you can turn to if you need help with your site. This site is very easy and free which is why it is so popular. When you are going to create your site it gives you categories such as blank templates, fashion,personal etc. Currently 14,767,738 people use wix.com as their site to build their online portfolio. 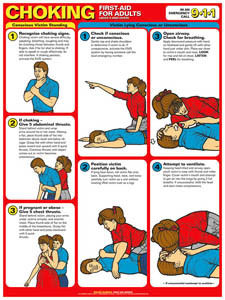 The information deign I found is a diagram on how to do the heimlich maneuver. These instructions are everywhere and are extremely important. The instructions for the heimlich maneuver are simple and the pictures are simple and easy to understand. The logo I chose was the famous girls scouts of america logo. 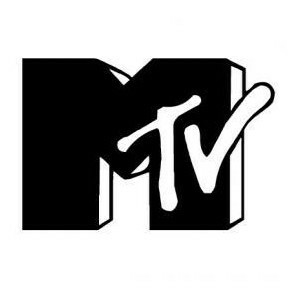 The logo was created by Saul Bass in 1978. 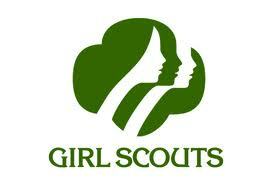 This logo has become extremely popular and when you see it, you know it is associated with the girl scouts. I like this logo because it uses great positive and negative space with making the faces. It is creative because you can see three faces due to the way the positive and negative spaces compliment each other. I also noticed that the type for girl scouts under the image goes extremely well with the picture.